The Prophecy: Uprising is surprisingly good. 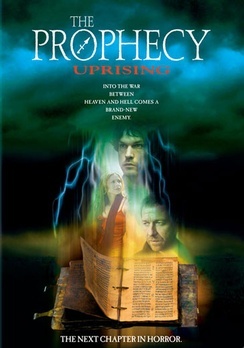 I don't know why The Prophecy: Uprising was collecting dust on a shelf at Miramax, when this is a pretty decent movie that should've gotten a theatrical release. You don't have to see the other "Prophecy" movies to watch this one. 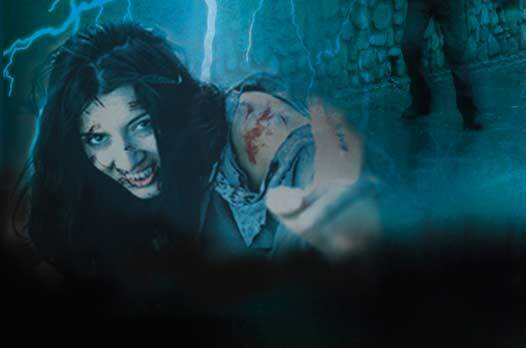 It stands alone, even though The Prophecy: Forsaken (2005) is the other DTV sequel. Kari Wuhrer is Allison, who finds a bible that can change the world. Sean Pertwee co-stars as Dani, a cop who has a terrible past. Pertwee is excellent in the role. He presence improves the movie a lot. Doug Bradley of the Hellraiser movies has a pivotal role in this too. The flashbacks and quick cuts also work very well. Of course, the script is silly sometimes, but that works to its advantage. Don't be hit by "sequelitis" and pass it by. It's definitely worth seeing.